“Why did you call them? Do you know how much money I have paid for it?” he says. This year, beginning May 27th, a private company was hired to guard Nygårdsparken, the most beautiful park in Bergen, Norway. Part of the series of actions that the local government have taken around the city in an attempt to fight increases in violence in recent years, the guard service is already causing a good deal of grumbling particularly, but not only, among the drug addicts, drug dealers and sellers of goods on the black market who call the park home. Some neighbors question the effectiveness of this drive-through form of policing: “I have had to (try to) get rather stoned people out of my hallway,” says Klara Sjo, a fit runner that takes the matter with throaty laugh even though she confesses that the situation is depressing. 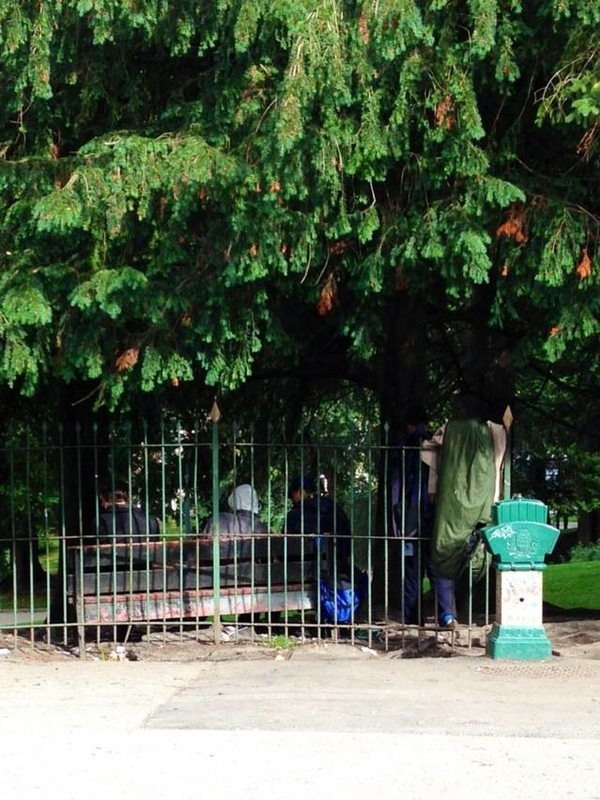 Indeed, the park has long been home to many of the city’s local drug users and dealers. In addition to that, in the last couple of years, many foreign people have also found their first home and job in the area. 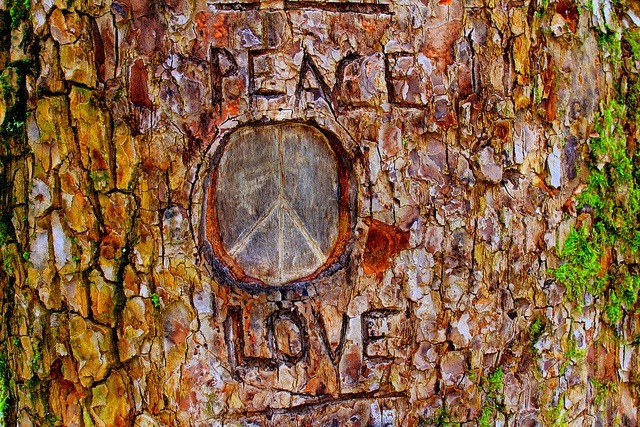 Tree graffiti in the park. These factors raise the same question in both Synnove’s and Klara’s thoughts: “Where else could they go?” Both observers tell the same story, about the police attempting to clean the area a few years ago. This effort, they said, simply led the drug abusers to move to other places around the city, spreading the crime to a larger territory rather than just keeping it in one or two known places in town. Obviously something is not working well. “Even the addicts themselves claim that the conditions to get into a methadone program are too harsh,” continues Synnove. Having limited options, many use Strax-huset, a local establishment where drug addicts can go for a dose, and where new syringes are provided. Others choose the park. There, they find not only refuge but, in some cases, encouragement: Once in a while during the summer, The Society for Human Drug Policy (FHN) comes to advocate smoking heroine by giving away free foil to drug users. The addicts choose the open space, where they can exist, mostly undisturbed. The company, on the other hand, is optimistic. “We look forward to helping to make the city’s largest park even safer and more accessible to its citizens,” says marketing director Tommy Sæle in front of the local media Aktuell Sikkerhet. Sadly, the optimism goes away two minutes after the question is raised with experts. “The private security guards do not have any legal right to use force or act as the police. They can only do what you and I can do,” says Dag-Heine Bjørndal, a lawyer that works for the Kommuneadvokat (Municipal Prosecutor’s office) and has a background of handling drugs and alcohol cases for Fylkesnemnda. And as the old saying goes: “Let the actions speak by themselves!” The commissioner of the city council in Bergen, Lisbeth Iversen, who proposed the assignment of guardians in Nygårdsparken, resigned from her post three days before the company started work.